Almost all city and county governments we have spoken with have moved or are planning to migrate their email to Office 365. Most are interested in other features of Office 365 but don’t know where to start. Others might be concerned about security. Below are 7 ways City and County Governments use Office 365. Community Events – City and County governments use Office 365/SharePoint External Sharing capability to coordinate and share information with agencies outside of the county to ensure a safe, successful event. Office 365 provides great collaboration features that you can use to increase citizen engagement or coordination with industry and non-profits. Cost Savings – Many local governments are looking to consolidate storage and save money with secure cloud solutions from Microsoft. Most local governments move the h://user files from the network shares and configure storage on local PCs to save to OneDrive as their first Office 365 workload. Moving storage to the cloud typically reduces the need for PC backups. Other great uses for Office 365 include access to files and applications via browser, without the need for Citrix for VPN. Geographic Information Systems (GIS) – Many City and County governments have developed mapping solutions based on ESRI. The great news is that ESRI supports integration with Office 365. In addition to integrating solutions from ESRI, the SharePoint experts at Xgility have also integrated mapping solutions from Microsoft Bing Maps and Google. Police Departments – Many police departments are using specialized software from vendors like Motorola, and others have homegrown solutions. SharePoint should not be a replacement for specialized systems, instead it should be used to augment or add collaboration capabilities. Office 365 for Government meets all requirements for CJIS compliance and can be used by police departments. Project Management – Many IT departments are surprised that the #1 project management application is Excel. It is time for many users to graduate to a platform that allows for collaboration. 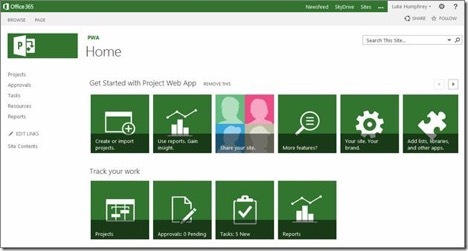 SharePoint offers many features to allow teams to mange projects such as tasks, Gantt, shared documents, shared OneNote notebooks, and event Microsoft Project synchronization. These features are customizable or available in the project web app. Meeting Minutes – While some County Managers and Board of Supervisors are comfortable with paper and pencils, many have embraced modern integrated tools. In our experience, it is executive assistants that are first to embrace tools like shared calendars, shared OneNote notebooks, and SharePoint sites for management of special projects. Enterprise Content Management – The team at Xgility recently provided analysis for a City government looking to migrate from SIRE, which is now part of Hyland OnBase. Other County governments are looking to leverage their investment in SharePoint to move off of systems like Documentum, IBM, and OpenText. Our pre-migration assessment provides strategies for migrating Documents to SharePoint and builds an information architecture that supports metadata to improve search. Our team can advise if Office 365 can meet your ECM needs out-of-the-box or if configuration or 3rd party tools may be required. Office 365 receives frequent updates, so it pays to make sure you have the latest information relating to ECM and records management in SharePoint online. Would you like to share a way your city or county government is using Office 365? Please share it with us. We have had the opportunity to work on great projects with cities and counties such as the City of Spokane WA, County of Sussex DE, State of NJ, Placer County CA, and the City of Dublin OH, just to name a few. If you would like a demo, free trial, or help with a proof of concept, please contact us. Want a free trial of Office 365? Get your Office 365 E5 trial subscription here.